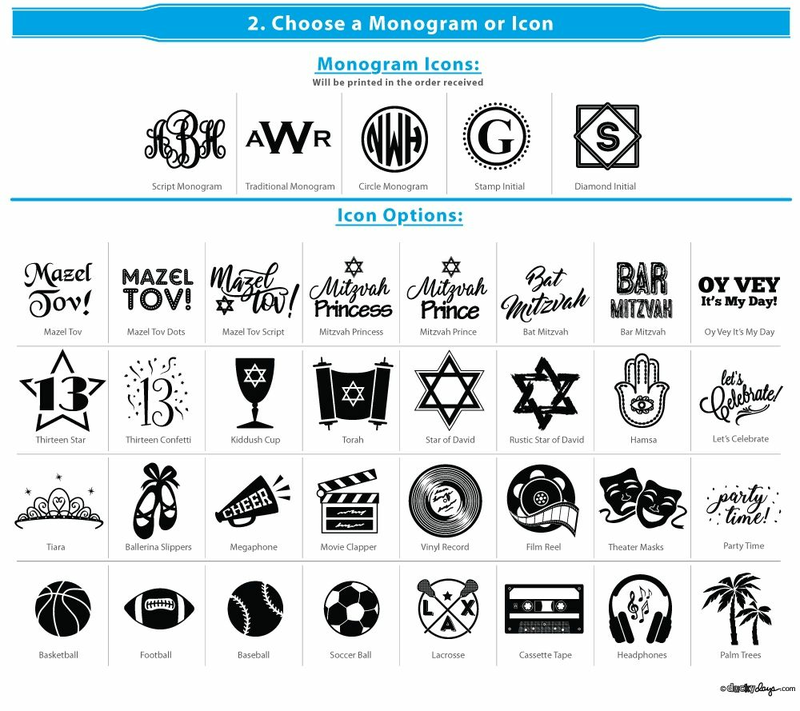 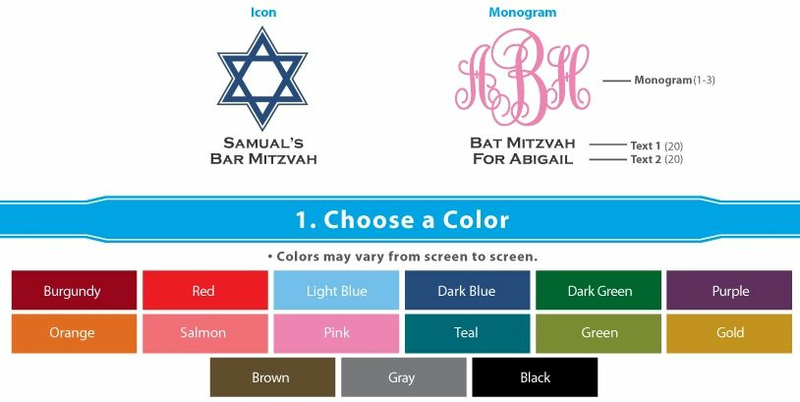 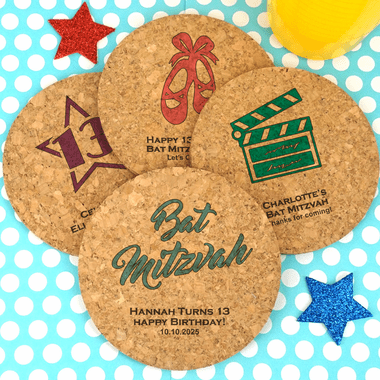 Great for Bat and Bar Mitzvahs, these personalized cork coasters are a great give away for any Jewish event. 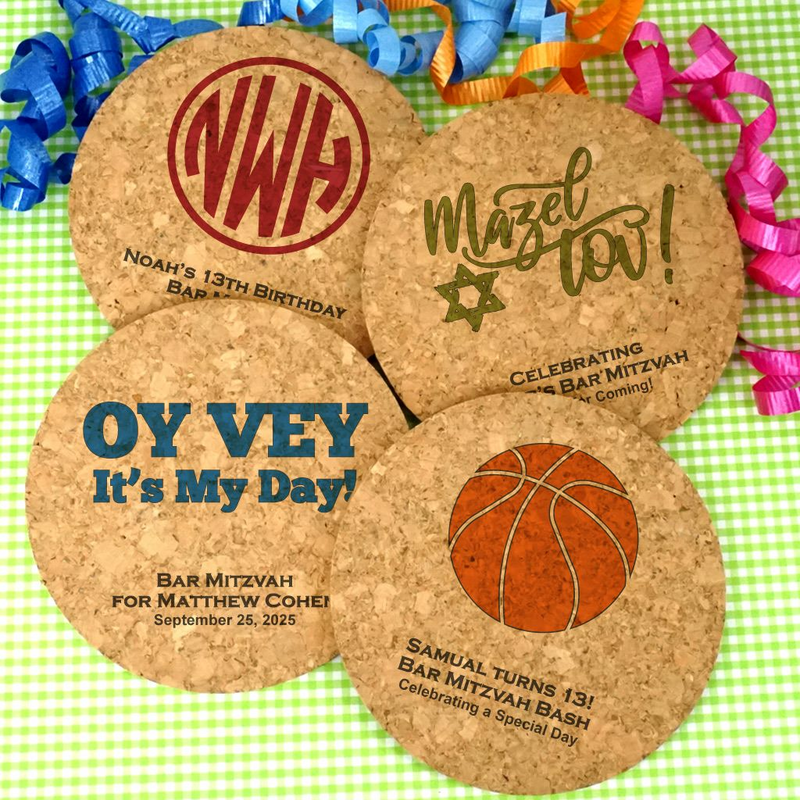 Measuring 4" x 4' inches for the square and 4 inches in diameter for the circle, each can be personalized with up to three lines of text as well as an icon. Coasters are also crafted from durable, 100% renewable, all-natural cork - an environmentally sustainable material that absorbs moisture and protects surfaces from hot and cold temperatures. 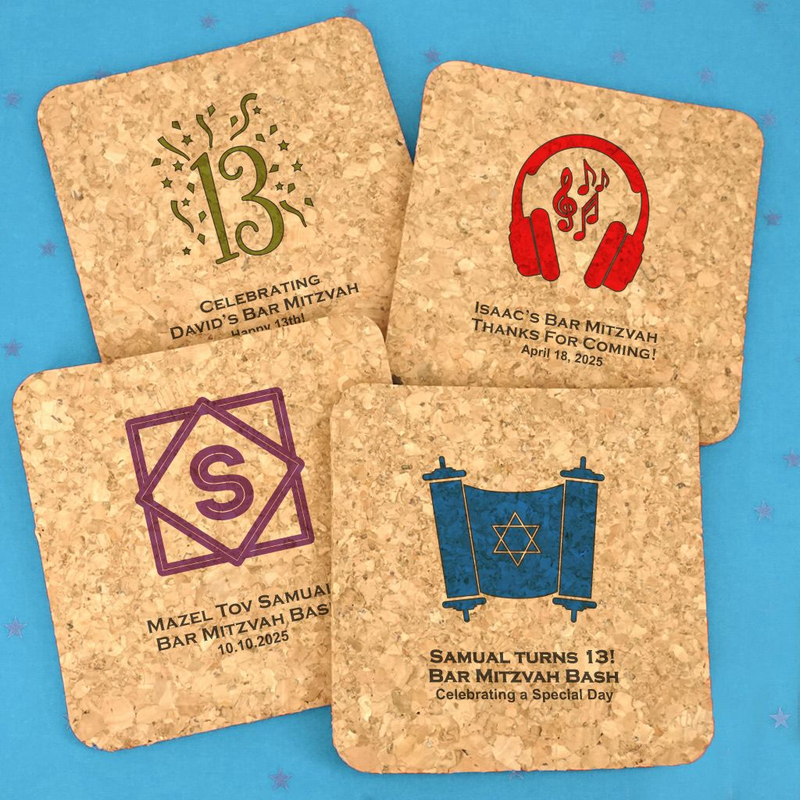 Because they are all-natural, these coasters can vary in color and thickness.